Tuesday 9 October is Ada Lovelace Day: a day to celebrate the achievements of women in STEM (science, technology, engineering and maths) fields. It was founded in memory of Ada Lovelace, (1815–1852) who is known as a mathematician, an associate of Charles Babbage and the first computer programmer. Her ideas went on to inspire Alan Turing’s work on the first modern computers in the 1940s. Ada Lovelace Day celebrates the achievements of women past and present and hopes to inspire the next generation of female scientists. 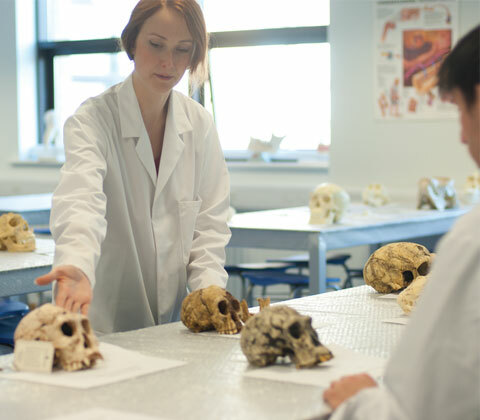 Here at BU we are immensely proud of the successes of our own female STEM researchers, who are developing the fields of animation, archaeology and conservation, to name a few. In 2016, Vicky Isley, along with BU’s Paul Smith and Dr Paddy Brock from the University of Glasgow, won the Lumen Prize Moving Image Award for the project AfterGlow, which shows the transmission of an infectious disease through 3D animation. The project brought together animation artists and biomedical scientists to create experimental animated artworks. The resulting artworks were designed to make us think again about science and the human body. Within wildlife conservation, Professor Amanda Korstjens is leading a project in to the effects of deforestation, human activities and climate change on the eco-systems and wildlife of the remote forests of North Sumatra. Meanwhile, Professor Wen Tang is supporting modern day policing through her research into gaming. This has been developed into key training and opportunities that are pivotal to preparing police officers for real-life situations. These are just a few ways in which our female researchers are enriching society through their work. Throughout Tuesday, we’ll be sharing stories on social media; follow @BU_research to find out more or to share your own story with us.